Welcome to Fun Kids Jump! 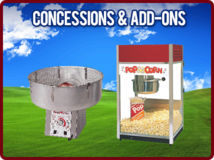 Call now to guarantee your party date! Don't pay more than you have to. 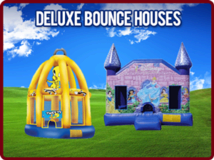 We are the best priced moon bounce rental company in MD, VA, and DC area. Our prices are for the day and not for the hour. So you do not have to stress about how long you keep the moon bounce and enjoy your celebration. 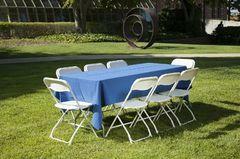 We are a reliable, customer service driven company and we'll do everything in our power to make your event a success. Our products are 100% insured, licensed and *lead-free. 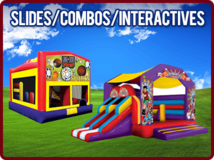 We offer and deliver Moon bounce and Inflatable Rentals for activities such as birthday parties, company picnics, church picnics, daycares and any other event that involves children and fun. We are located in the heart of Montgomery County, MD. Please call to see if your area is within our delivery area. We deliver up to 20 miles from the 20855 zip code. Anything over 20 miles out from the 20855 zip code will be subject to a pre-determined delivery fee. Our most common areas are Rockville, Bethesda, Chevy Chase, Kensington, Gaithersburg, Germantown, Glen Echo, Hyattsville, Adelphi, Beltsville, Laurel, Silver Spring, Potomac, Olney, Brookeville & Wheaton -- these are all in MD. We are also happy to serve Washington DC, and some cities in VA: Falls Church, Fairfax, McLean, Arlington, Vienna, and Reston. All of our inflatables are cleaned and sanitized before and after rentals. We know what it means to serve our country so we have a 10% military discount to all active duty military members. Thank you for your service and your commitment to maintaining freedom throughout the world. Give us a call and experience a time of relaxation while your kids are having fun! Order online with coupon code ONLINE and save $5. Monday - Friday $10 off any 13x13 or 15x15, $20 off any Large Moon Bounce.